My cousin Ben is a youth, out on his own in the world, living the single life, being a sports writer, and generally being an exceptionally swell fellow. He stands as one of my baby's favorite visitors, and he is the only grown man I have seen chase a bird in a restaurant parking lot. He is about ten times friendlier than your average Greene, and he has semi-recently moved into his own place, for which he sort of still needs stuff. "I have no idea if this was helpful, I'm very bad at wanting things"
So here are some things on Ben's list that might inspire you for someone you know! Can I just pause for a moment to say I am tickled he has garbage bags on his list? If you are going to buy 2 presents, why not make one of them something really boring and practical? In a weird way, it's a better gift, because they can spend some practical money on something less so. Maybe. Ok, let's get to it! Ben will give you some good reasons why he wants what he wants, and i will throw some ideas out there. A lot of these were covered at least a little in my Back to School shopping blog, but I will try to tailor Ben's list to things adults would actually want. If we are all really lucky, it will help you get inspired for someone in your life! Bookends- "I'm looking for a way to display some books and just have heavy things to use as bookends." My Thoughts- I mean, you could probably just use rocks? My son would suggest garbage, the perfect decoration in any house. 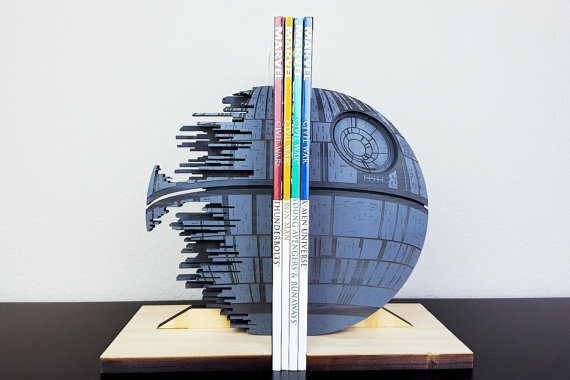 If you wanted to get someone like Ben a handmade gift, you could certainly make some bookends. If that isn't your deal, there are still lots of options! My Pick- Uncommon Goods has Edison lamp bookends that i think would look super cool and masculine in a young single guy's apartment. Very bachelor-y, in a good way. The ladies would be super impressed. They make them out of reclaimed barn wood too, so you are helping recycle and keeping trees standing. Just a win of a gift all around (but definitely a bigger gift). 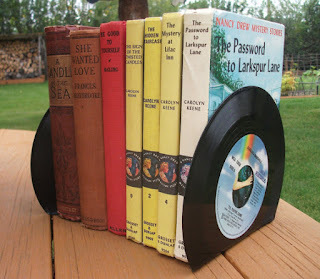 For Ben, I would possibly get these recycled record bookends, because they would match the record bowls he certainly has from our grandparents. Plus, they are actually pretty cute! This only one of about a million options (again, how many book ends could the world possibly need?). Please avoid fresh plastic ones- there are so many other bookends, there is no need to ever get them in a nasty material. I like the metal silhouettes ones like this bicycle and all the silhouettes (especially the UFO) from Knob Creek Metal Arts. I also think these stick figure ones from Happy Skraps are pretty great. You can also find vintage options, since it's an old concept that doesn't take that much wear. For the Star Wars geek in your life, these Death Star bookends from Moku Shop are absolutely amazing. They have so many great ones, and I am just pumped they exist. So cool! Lightbulbs- "Mine are going to die sooner or later." My Thoughts- Deep, Ben. Eco-friendly lightbulbs turns out to be a pretty complicated issue, and what is best for the environment depends on your priorities- are you trying to save energy (if there was a global switch, we could cut energy usage by almost 10 percent- that's big)? Produce less waste? Minimize the chemicals you are bringing into your home? They essentially haven't found the magic lightbulb formula where you can address all of these issues at once, so you really do have to decide what matters most to you. No matter what, it's a pretty cool reminder that the little changes we make consistently can make a massive impact. If you are buying someone lightbulbs for Christmas (and if you are, good for you! Our lives would all improve if we prioritized need-gifts instead of want-gifts), keep an eye out for energy star ratings, which will give you good information on the bulb's energy efficiency. LED's have mostly taken over, because those windy ones we all switched to before have quite a bit of mercury in them, along with some other problems. My pick is probably Hyperikon, who sell LED lights in flood lights and regular bulbs that have that energy star and are made in the USA! About as close to a win as you can get in this arena. Ok, here are a few options- Ecosmart LED bulbs have an energy star and last a crazy long amount of time. GE sells indoor LED floodlights with high energy efficiency (it uses 10 watts rather than 65) and an energy star rating as well. When Ben's lightbulbs (or yours!) do die, hopefully later, you can find great information about how to dispose of these in the most responsible way at Lamp Recycle! Did you know this was a thing? Me either! But I love that it exists, and we could probably all use this advice (did you know you should never throw away a fluorescent light because of mercury? Me either!). Lunchbox- "I'm trying to make lunch and I don't have anything to put said lunch in other than plastic bags." My Pick- I love everything Artifact Bag Co. sells, and I think their lunch sacks would make a perfect gift for Ben. He can handle a slightly nicer lunchbag since he is full grown, but these also don't look fussy or ostentatious. I wouldn't want to give these to a kid, but it would make a freat gift for an adult who can get tons of use out of it. This lunch sack looks like a grown man carries his lunch in it. I have more Etsy favorites on this post. Don't want to pay an arm and a leg on a lunch box? How dare you! I kid. I get it, and you know the person you are shopping for. If they are going to lose it in 10 minutes, you still have great eco-friendly options. 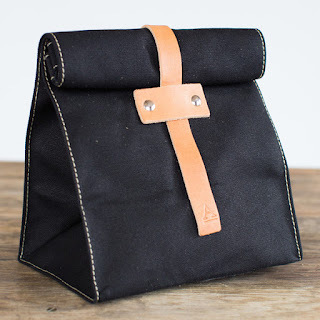 One thing that is especially cool is that some of these options, like this lunch bag from Clean Conscience, are made from recycled water bottles. It saves nine bottles from a landfill, which is awesome! Notebooks- "I go through these a lot at work so anything to write on is always a plus." My Pick- I am currently carrying a decomposition book around in my diaper bag so I can write down ideas as I have them, and I have to say, these notebooks are even better in person. Lots of fun little details, and the designs are pretty cool without being Lisa Frank eye-catching. They are also made of all post-consumer waste paper and soy ink. And they are made in America. Just all around awesomeness. For notebooks, you really just want to look for the paper with the highest post-consumer recycled content! Many notebook companies do this now- even the most mainstream companies like Mead have 100% recycled/ 30% post-consumer content, so there is really no reason to settle for virgin tree paper! Second Nature does even better with 40% post-consumer content! New Leaf KILLS it with 90% post-consumer paper. Kickass pick, Ben! Pens- "As you might imagine, writing requires a writing tool." 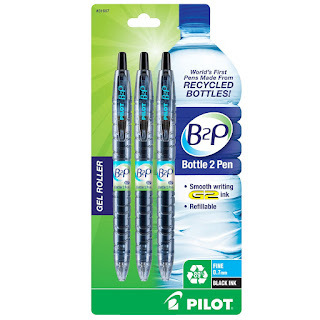 My Thoughts- Loyal readers already know that I am pretty obsessed with Pilot's recycled water bottle pens. I strongly believe that all pens should be made of recycled plastic. It's a perfect way to re-use some of that pesky plastic waste. These ones are pretty cheap, refillable (!!YES!!) and come in lots of color and options. No one buy anymore fresh plastic pens! BIC has a lamer version (I am waiting for the lady version) out of only 67% recycled plastic (and it's all pre-consumer). So if you have a BIC loyalty, you could go for these Ecolution pens instead of your normal pens. You can get their big boxes of pens out of recycled plastic as well. I am underwhelmed by the effort so far, but everyone starts somewhere! 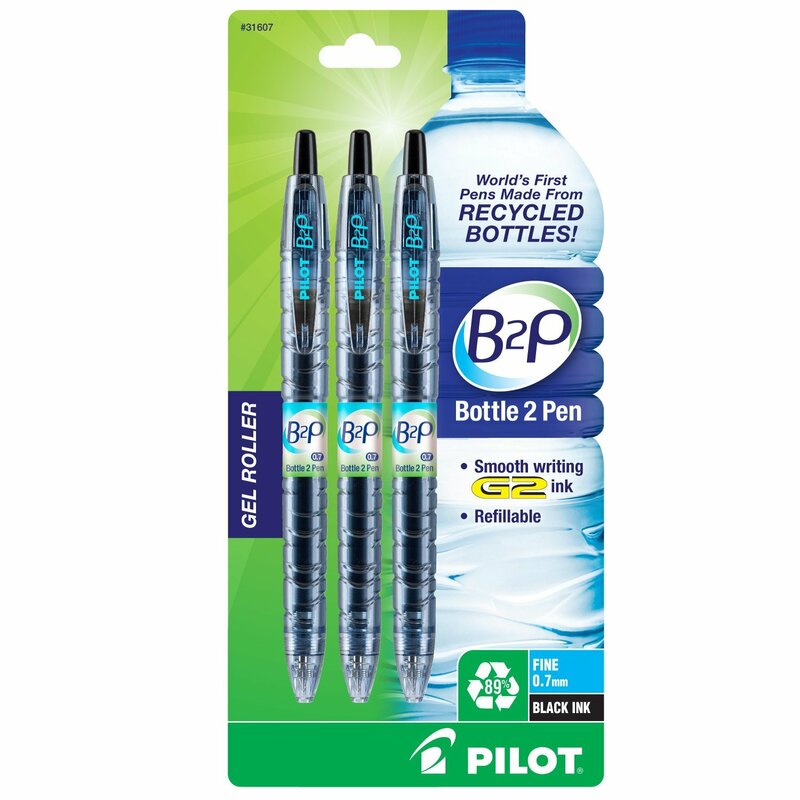 Zebra sells pens and mechanical pencils made of recycled plastic. Garbage bags- "For, you know, garbage"
My Thoughts- For the record, I am buying this man garbage bags for Christmas Because how often can you say you did that?. What a kickass pick! When shopping for garbage bags, take a close look at reviews and what they really mean by "biodegradable." If it is plastic, it cannot and will not biodegrade. What actually happens is it breaks up into teeny tiny pieces that are impossible to clean up and which will pollute water. Not great. Instead, look either for biobags for green waste or recycled trash bags. Because your garbage probably doesn't need fresh plastic made for it. My pick would probably be Webster Earthsense bags, which are made of 75% recycled material. If you want to gift something like this without doing tons of research, Seventh Generation is always a good place to start. 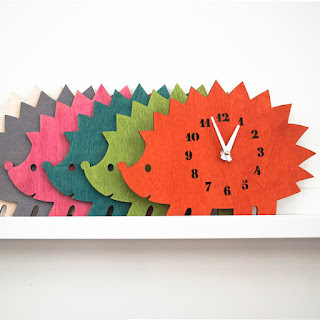 Clocks- "I've been looking for a cool clock for my upstairs room"
My Thoughts- For our first wedding anniversary, I bought a clock much like this one from Shannybeebo, and it is awesome! He keeps it in his office, and as far as I know, he mostly approves of it. This etsy store has tons of clocks out of different materials, so you are bound to find something cool! 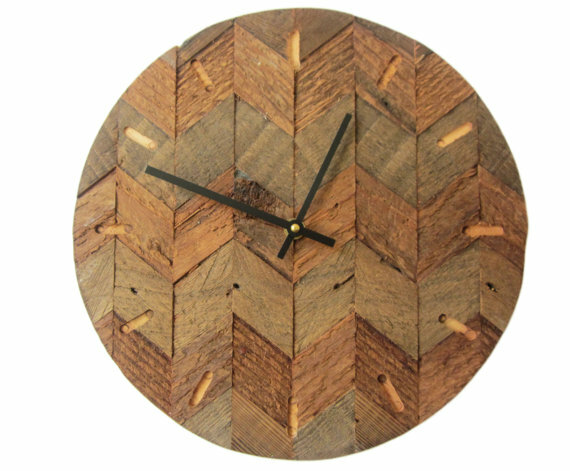 Clocks are another area where you can find lots of beautiful reclaimed wood options. Lots. My favorite might be this one from the Hilltop Workshop. You can find some really metallic or mechanical clocks that look really cool. 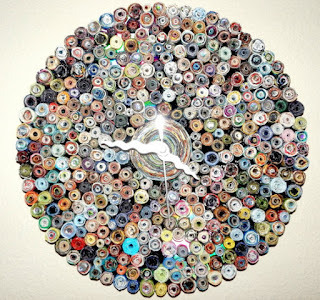 I love this one from Resource Revival that looks really interesting and is made of all recycled parts! Howard Miller makes a really nice wood wall clock that would fit well in a guy's space. 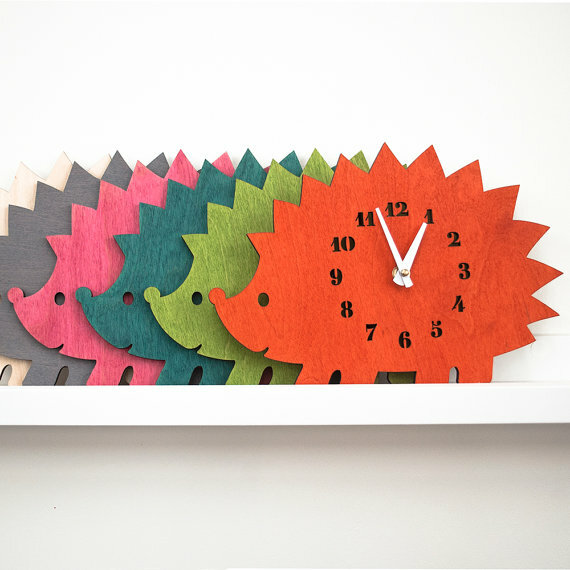 LeLuni makes animal-shaped clocks which are maybe less manly and more awesome; I like the hedgehog one. Laptop screen wipes- "My laptop screen frequently becomes dirty. It would be nice to change that." So, as a general rule, wipes are not eco-friendly. You use them once, and you throw it away. They aren't often made of eco-friendly materials. If you want a more environmentally-friendly option, you could gift microfiber cloths that can be reused and still work pretty well! They even have a cleaning spray specifically for laptops that would work perfectly with these cloths. If your giftee specifically want the wipes, iCloths are made in the USA, so that's probably the best choice (though they are individually wrapped, so less excited about that)! Christmas is quickly coming around, so I tried to put lots of Amazon Prime options on the list. To add, if you go buy things from local stores, you support your neighborhood and you have the gift immediately! Huzzah! The more you can cross of the list before your desperation Walmart trip, the better! If you are looking for more shopping inspiration, check out my Super List of Shopping Lists! Remember, this season shouldn't be all about shopping, but we can change the way we shop to better support what we believe in and how we want to do some good in the world!